assalamolaikom wr wb. hope this email finds you in the best of health. I am sitting in the lounge. Soft sun beams coming on me from the window as the digital clock in front of me displays 11:05 am. I have exactly 30 minutes before I have to leave to pick Maryam from her preschool. Rumaysa is asleep and this is the perfect time for me to reflect. As I will get ready to leave, I will be wearing a grey jersey abaya, a net scarf cap beneath and a matching geometrical print black scarf to get ready. I will use the scarf side to do the niqab and put up one of the Japanese pins to make it secure. Will top it with the woolen sweater that I have and the boots. Not all that classical black niqabi look. But a coloured one. Today, I want to tell you about my journey to niqabism, and also how I help myself from all the stares while living in the west.This look is a chosen one, not a gifted one from family, therefore, I had to experiment different styles, at different ages of my life, to come to this point. Its a long story. But the desire to cover myself started after performing umra back in 2005 while I just started my A-levels college at The Lyceum. I did wear the scarf but got too weak as that sudden Iman high started dipping, looking at the girls flaunting their new haircuts, their new hair dyes, their new hairstyles everyday. I took it off. As I entered the university life, Allah SWT was so raheem to call this aajizah back to His house again. After coming back, I was determined that I will now wear it, but the very next day, when I had to go, I cried and cried to get the courage to wear the scarf. But I couldn’t. Come middle of the third semester, and one of the most prettiest girls of the batch started scarf. And then it was like a follow-on affect. Many girls started doing it, and I too wanted too. But I was afraid, I would take it off like I had done in the past. There were days I would wake up from sleep and would feel so sad just because I couldn’t do it. I was afraid that the fire that was burning inside of me would die anytime. Meanwhile, there was something else going on inside me. I was also becoming a different person. I was trying to become more ‘Islamic’ and was looking ways to becoming more loving to Allah SWT. Stopped listening to music. Started dressing more modestly. 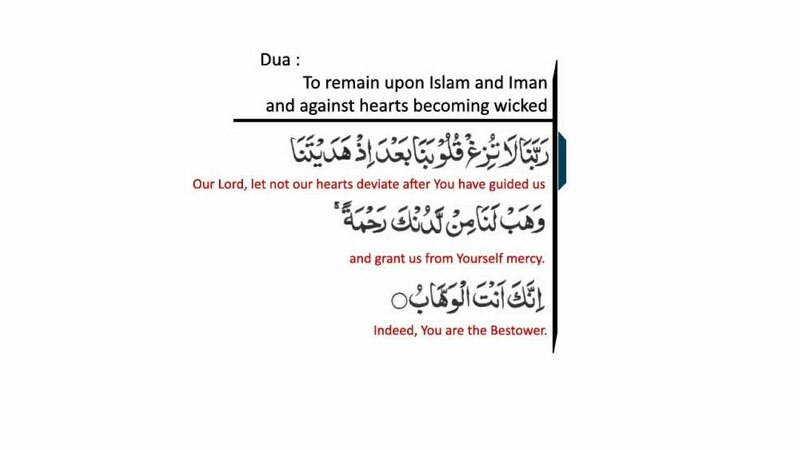 Started learning and practicing more duas. And so on. It was also becoming more and more difficult to hide my true self. I wouldn’t enjoy with my old friends any more too because I hated the gossiping. It was hard and I was suffocating having two sides to myself. I knew I have to choose one. And I knew which one it had to be. It was just about the right time I was waiting for. Then Ramadan came and with it came the last ashrah. It is only and only the Rehmah of Allah that one of its odd nights, I cried and prayed to Allah to give me the strength to wear the scarf, and with istiqamah. This seemed to be the right time for expression of my true inner self as well. I reached IBA, and I met all sorts of people, all sorts of stares. People congratulating me and people calling me talibaan. Eyes looking at me with love and eyes looking at me with disappointment. But above all, the joy inside of me was so overwhelming that I simply loved it. I remember I came home that day, wrote the whole experience in my actual secret diary (Yes, in those teenage years, I had started writing in my secret diary. Still have special moments saved in words, rather than pictures) joined facebook pages like (yes, I am bald under my hijab) etc and replied to the smses of the girls who were so proud of me, alhamdolilah. Alhamdolilah, from this point onwards, there was no turning back.. and then I also slowly adopted the abaya. First in the market place, then slowly amongst the friends as well. And I knew one mistake from the past. I needed a good company of friends to keep it going. I remember reading an ayah translation from an Islamic brochure which said ‘[9:119] O ye who believe! fear Allah and be with the truthful.’ This is the well known ‘Koono ma’a assadiqeen’ ayah. So we are ordained to be with the righteous people right after we become fearful of Allah. And then I also came across a quote that a friend is one who reminds you of Allah and the hereafter. Therefore, I got more active in the IBA Iqra Society, an Islamic Society at IBA from where I met many many friends including Sobia Baji. IBA Iqra society started a Purification of the heart series while in lunch break and alhamolilah, Allah gave the taufeeq to be its organizers. I first met her at the gates of IBA, receiving her for the short bayan. She was clad in typical black in a dream-come-true Islamic attire. And spoke very fluent English. I wanted to be like her, the moment I saw her. And those bayans she gave, were life changing. Alhamdolilah, from there on, I came across Zaynab Academy to find the right suhbah. How I started the niqab will be a story from this point onwards in my next post inshaAllah. And yes I remember, while I had started the scarf, many many family members used to say painful statements like’ scarf walee sey shadi kon karega?’ < Who will marry the one who wears a scarf?> Alhamdolilah my husband, before he became my husband, told my mother-in-law that he wants to marry a girl with a scarf . And with this very scarf my mother-in-law was able to find me, having no other links with my family before hand. Alhamdolilah, this is t[he sunnah of Allah SWT that whatever becomes the cause of pain, becomes the cause of relief as well. May Allah give us all istiqamah. Such a thought provoking and honest piece, I really enjoyed reading it! Thank you for opening up and I’m really looking forward to reading how you went from hijab to niqab in sha Allah! It’s true that when you change as a person, you should change your company as well. Those from the past who want to see you improve as a person and love you regardless of your attire are definitely the keepers. May Allah (SWT) give you istiqamat on the Deen, protect you from all fitna, and multiply your rewards. Beautifully articulated Nida. Brought back memories of IBA and from that time. May Allah swt keep you steadfast in His path.